Over the past several decades, Austin has become the go-to meeting place for everyone from music lovers and film buffs to corporate leaders and business keynote speakers. In addition to the city’s lively music and arts scene, more and more companies are choosing to give their employees a healthy dose of culture and inspiration by booking events in Austin. With a yearlong schedule that includes street fairs, food festivals, sports events, and world famous happenings like South by Southwest, there are endless draws to hold your corporate or small business event in Austin. The key is to book strong business keynote speakers who will be just as entertaining and enlightening as the surrounding cultural events. Book a boring speaker and watch your audience squirm as they long to get back to the music. Here are the top 5 qualities of the business keynote speakers that will be able to compete with – and complement – Austin’s exciting energy. Booking a keynote speaker with a sense of humor does much more than entertain your audience; the use of humor in keynote speeches has been shown to help audiences remember the speech’s message long after the event has ended. Austin draws the top musicians and filmmakers in the world – be sure you’re booking a business keynote speaker at the top of his or her field. Austin’s go-with-the-flow vibe demands speakers that can improvise based on an audience’s responses. Great keynote speakers in Austin are able to integrate the city’s current events and overall vibe into their speeches, increasing relevance and impact. Austin is a city of individuals who are proud to show off their creativity and uniqueness. Cookie cutter business keynote speakers in Austin simply will not cut it. 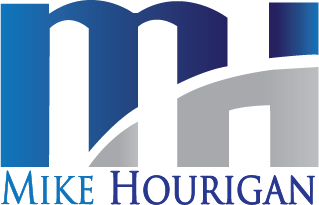 Mike Hourigan is an Austin Business Keynote Speaker, Author and Consultant, who specializes in communications skills training and dynamic sales training programs. Contact Austin Keynote Speaker Mike at 704-875-3030, 888-PRO-KEYNOTE or fill out the form below.